Orlando International Airport’s owners, the Greater Orlando Aviation Authority, have filed a lawsuit against Melbourne Airport Authority for calling their airport Orlando Melbourne International Airport. They say it’s misleading, and demand the name is removed and compensation paid. It’s not uncommon in today’s compensation culture to hear about ridiculous lawsuits. However, some things could only happen in Florida. Today we have a story of how an airport is suing another airport, for using the same name. Apparently, this state ain’t big enough for two airports to be called ‘Orlando’. The lawsuit accuses Orlando Melbourne International Airport of deliberately trying to mislead passengers. Orlando International Airport, a much larger and busier facility, says they are promoting ‘unfair competition’ by using the name. To be fair to Orlando International Airport, the smaller airport isn’t really in Orlando at all. In fact, it’s around 60 miles southeast of the larger airport and around 70 miles from the city center. Orlando International, on the other hand, is just 12 miles outside the heart of the city. 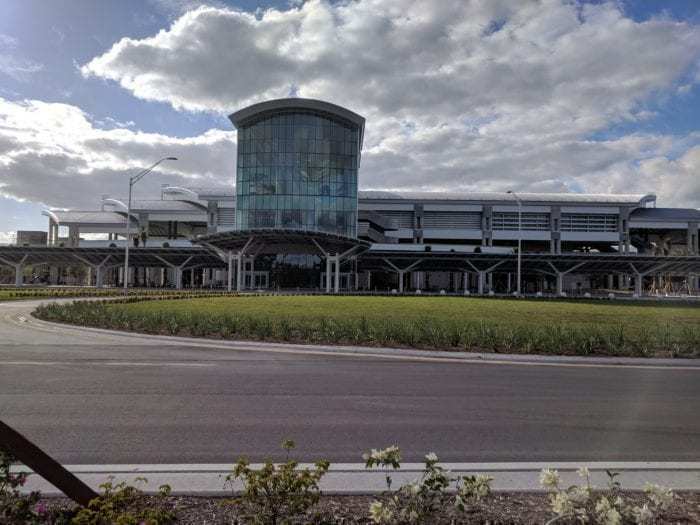 The Greater Orlando Aviation Authority (GOAA), which oversees the Orlando International Airport, have filed a lawsuit against Melbourne Airport Authority for using the word ‘Orlando’ in the airport name. The name was first used in 2015, despite the airport not being located in the Greater Orlando area. Leaders at the airports have been going back and forth for years over this issue, but it all came to a head this week when this lawsuit was filed by the larger airport. This follows numerous failed negotiations, public meetings and mediation since the complaint was originally raised in 2015. They argue that Orlando Melbourne has not licensed the name for use, and that they are ‘deliberately misleading’ passengers. They accuse Orlando Melbourne of ‘false and deceptive advertising’ leading to unfair competition from the smaller airport. Not everyone agrees that the name Orlando can be licensed. Melbourne Airport Authority contend that the argument has no merit, citing Manchester-Boston Regional Airport as an example of a similar, uncontended issue. As a geographic name, it’s going to be a tough call for GOAA to prove that it has the sole rights to the name. They are demanding that Melbourne be barred from using ‘Orlando’ in the airport name, advertising and promotional materials. They also call for the airport to display a retraction statement on its website for at least a year and to pay damages and their attorney fees. The big bug bear for Joe public is that Orlando International is using taxpayer money to fund the lawsuit. 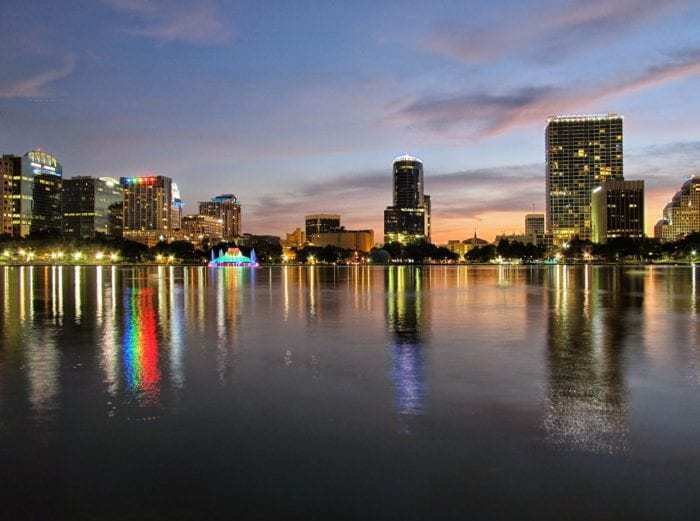 When asked by the press, the majority of travelers arriving at Orlando Melbourne were under no impression that they were flying into Orlando International. They knew they were arriving at the smaller airport, and how far away from Orlando city they would be when they landed. Orlando International Airport (MCO) is the 11th busiest in the US, handling around 47 million passengers each year. It’s a hub for Silver Airways, and a focus city for Frontier Airlines, JetBlue Airways, Southwest and Spirit. Orlando Melbourne (MLB), on the other hand, serves just half a million or so passengers. It’s not a hub or focus airport for anyone, although it is served by American Airlines, Delta Air Lines and their regional counterparts. Flights to MCO are generally cheaper and more direct too, so it’s confusing as to why MCO feel threatened by the name of the other airport. To mix up these two airports would be a mistake of epic proportions. Passengers usually have to go out of their way to use MBL, so it’s highly unlikely confusion could be caused. However, if they did accidentally land at MLB, it’s only 45 minutes away from MCO anyway, so not really a big deal. What do you think? Have you ever flown to Orlando Melbourne by accident, thinking you’d be landing at Orlando International? Tell us in the comments if you have. Ridiculous lawsuit! Next The city of Paris,France will sue the city of Paris ,Texas saying it is misleading and it must pay Paris France a compensation. Wouldn’t Orlando Sanford be the bigger fish to fry here? I wonder if they are hoping for a winning judgement here to use as a precedent for a case against them.